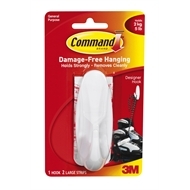 Command™ Designer Large Hook holds up to 2.2kgs - 1 hook, 2 large strips per pack. Great for hanging skates, handbag, backpack, belts, necklaces, or wall decorations. Command™ Hooks are available in a wide range of designs to match your individual style and decor. The Command™ range also comes in a variety of sizes and some hold a surprising amount of weight up to 3.4kgs! 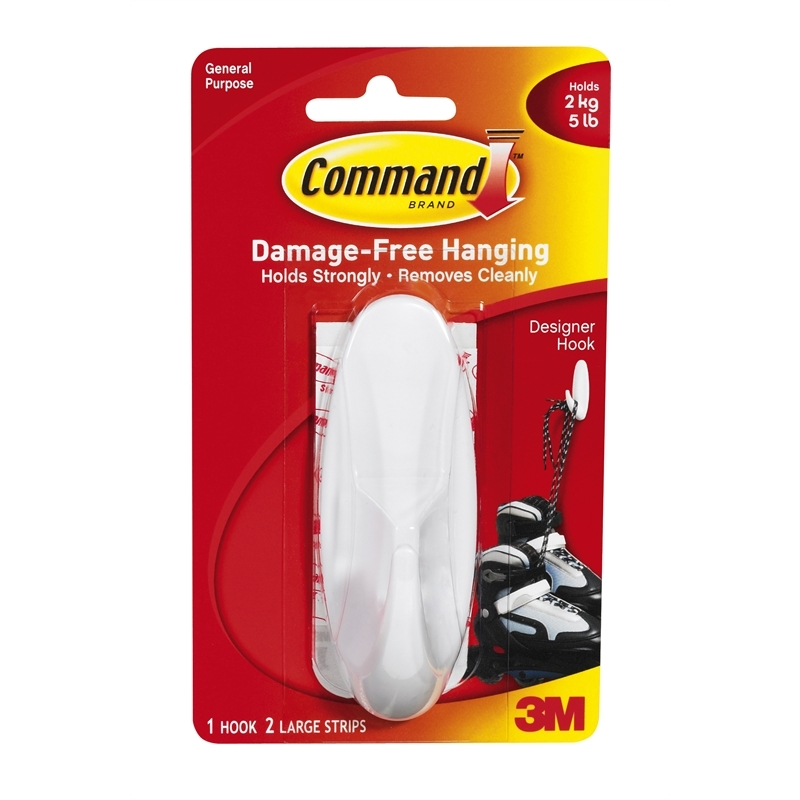 Forget about nails, screws and tacks, Command™ Hooks are fast and easy to hang! 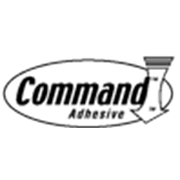 Using the revolutionary Command™ Adhesive, holds strongly on a variety of surfaces, including paint, wood, tile and more. Yet, removes cleanly - no holes, marks, sticky residue or stains. Rehanging them is as easy as applying a replacement Mounting Strip, so you can take down, move and reuse them again and again!